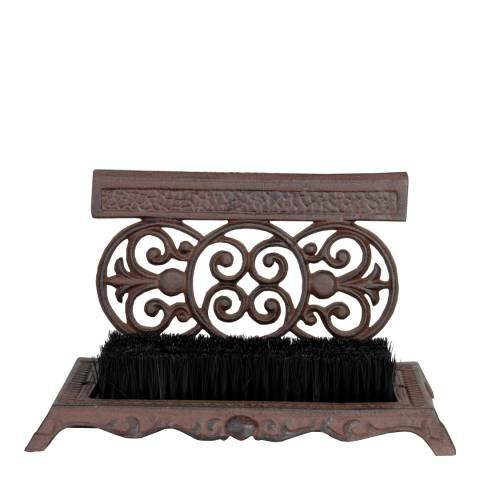 This decorative scraper and brush would be a stylish addition to your entrance or boot room. Thanks to the coir fibres and scraper on top, stubborn and coarse dirt can be easily removed from footwear. The cast iron part has been hand cast according age-old tradition and craftsmanship.